Converts On Cold Bizopp Traffic. 60% Commission. Paul Getters Social Media Rockstar Shows Aspiring Entrepreneurs How To Grow And Monetize Social Media Channels Like Instagram. Paul Has Grown Multiple Ig Accounts To Over 1 Million Followers! 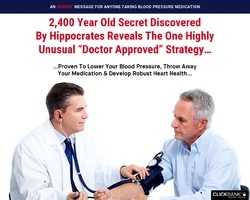 Natural Solutions To High Blood Pressure Combined With An Ancient Secret To Turbocharge Results! See Improvements In Blood Pressure In 7 Days Or Less! We Pay 75% Commission For 1st Month And 65% For Every Month Thereafter! 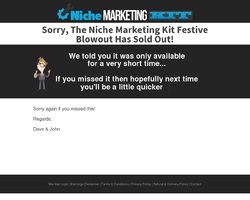 Ongoing Unlimited Subscription Based Product To Make You Fast Easy Passive Income Every Single Month! Monthly Billing Is $67/mo. 75% To You For 1st Month And 65% Starting 2nd Month.